To get a more honest account of their marijuana and alcohol consumption, students were assured that parents and teachers would not have access to the information — unless there was an imminent safety risk. The study concluded that marijuana had a more damaging effect on teenagers’ long-term cognitive abilities than alcohol. Even after students reported stopping marijuana, their cognition did not improve. It's not the first research to find that cannabis use may be harmful to teen brains. In a study published in JAMA Psychiatry in June, University of Pennsylvania scientists analyzed 69 studies involving younger cannabis users. They discovered that young people who used marijuana frequently were more likely to have slightly lower scores on tests of memory, learning new information, and higher-level thinking involving problem solving and processing information — compared to non-users. More research is needed to determine how and why the brain is affected by early marijuana use, scientists say. 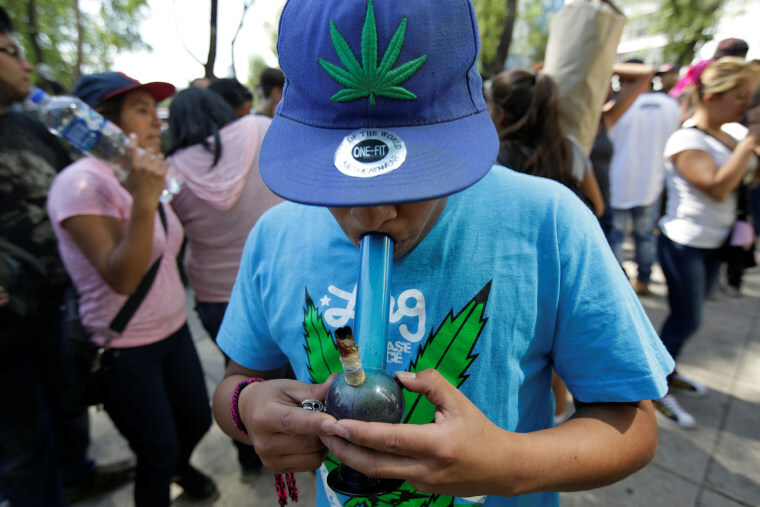 But the longer-term social implications of marijuana use in teens are more well known. In 2014, The Lancet Psychiatry famously reported that teens who smoke marijuana daily are 60 percent less likely to graduate from high school or college than those who never use — and seven times more likely to attempt suicide. And a 2017 study led by Josiane Bourque and colleagues at the University of Montreal suggests that a link between frequent marijuana use in adolescence and psychotic symptoms may be largely caused by depression. According to data provided by the National Institute on Drug Abuse for Teens, about 5.9 percent of 12th graders reported daily use of marijuana in 2017, up from 5.1 percent in 2007. Amid increasingly lax laws and attitudes on pot use, the American Academy of Pediatrics published a report last year opposing medical and recreational marijuana use for kids. Currently, nine states and the District of Columbia have legalized recreational marijuana for adults over the age of 21. CORRECTION (Dec. 31, 2018, 3:24 p.m. ET): An earlier version of this article misspelled the surname of the lead researcher on the study. She is Patricia Conrod, not Conrad.